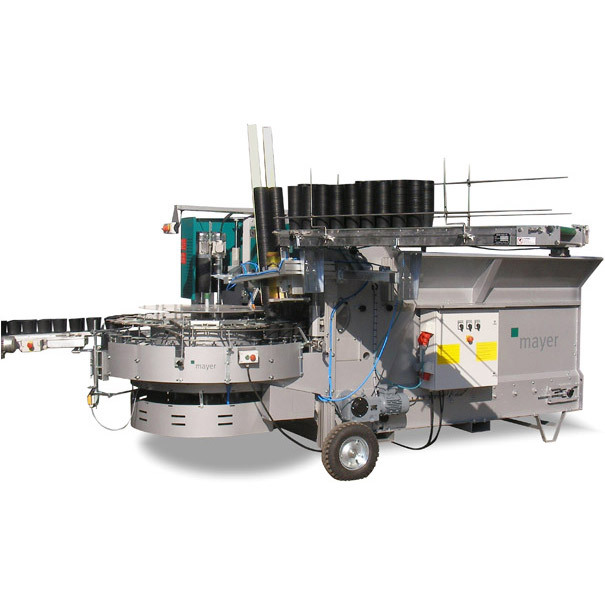 The Distinguished TM-2400DR Potting Machine by Mayer is compatible with a wide range of pot sizes and holds a maximum performance capability of 7,000 pots per hour. 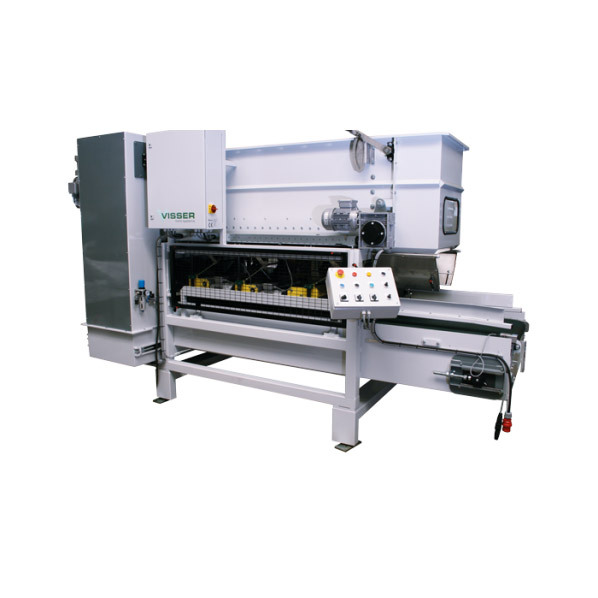 The machine’s outstanding quality guarantees high planting quality with a consistently centered planting hole. The exact coordination of pot position and pot transfer is fully synchronised. The high degree of mechanical precision also ensures the processing quality of subsequent stations or systems (e.g. automatic planting machines). The TM 2400 innovative technology is coupled with ergonomic handling. The electronic frequency controls for the turntable and elevator ensure precise output control and are easy to operate via control panel within the working area. The TM 2400 is distinguished just as much by the broad range of pot sizes that can be used as by its peak speeds of up to 4,000 respectively 7,000 pots per hour. Simply by changing over this multipurpose machine can nearly double its output in the twinkling of an eye. The carefully designed soil hopper prevents bridge formation in the soil supply. This greatly increases labor efficiency by making manual intervention unnecessary. Already, the standard version has a hopper capacity of 1.96 cubic yards (1,500 litres) which is a considerable amount of capacity. If your unique needs require you to have an even greater capacity it can be increased up to 2.88 or even 3.92 cubic yards (2,200 and 3,000 litres) by means of a soil hopper chute. For more information about Mayer’s TM-2400 DR Potting Machine, please speak with your Bellpark Horticulture sales representative or contact us. 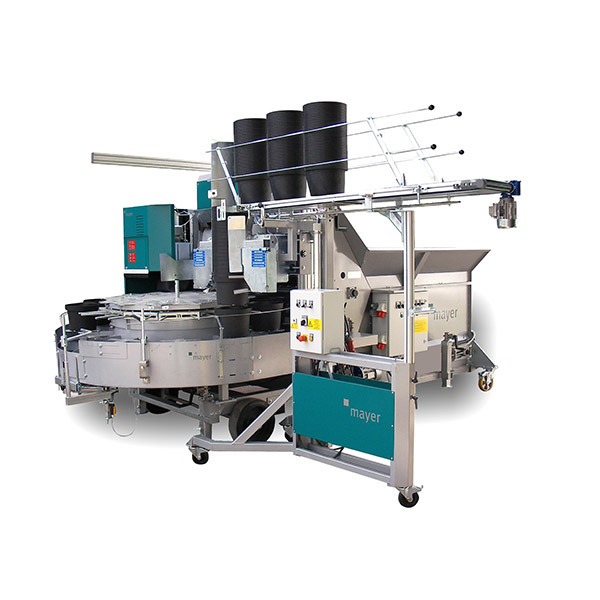 Automatic custom programming allowing you to set a predetermined number of filled pots. The pot counter records the total number of pots processed as well as the hourly output. Any malfunctions will be displayed and logged.